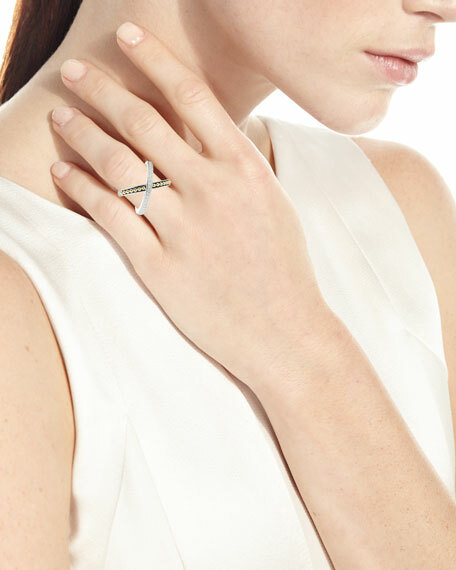 LAGOS diamond X ring from the KSL Collection. 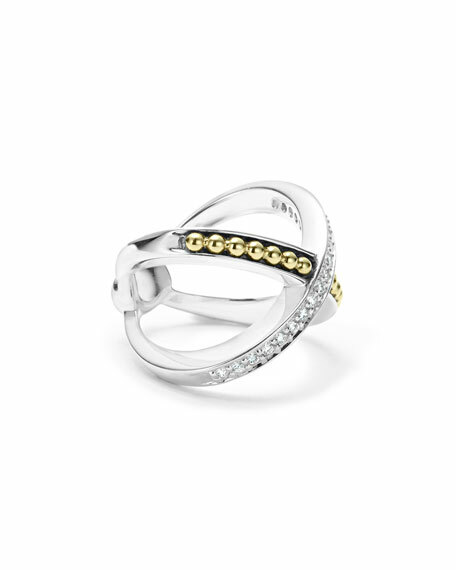 Sterling silver with 18-karat gold beading. Crisscross beading and diamond pavé. 0.29 total diamond carat weight.